Students of Ryan International School, Greater Noida brought laurels to school by winning numbers of medals in different sports tournament organized in Delhi NCR region. A Karate Championship was organized by Shaheed Major Amit Tripathi memorial Sub Junior State Karate Championship -2018 held at Lucknow on 7th & 8th April-2018 . Under this championship Priyani Srivastav of class IX won gold and bronze medal for the school. She won Gold Medal for Karate in under 13 year category and bronze in 45kg category. The school head appreciated her sporting skills and techniques and congratulated her for her winning spirit. Also in 4th Delhi NCR Inter School Khel Mahotsav-2018 held at Poorvi Delhi Khel Parishad, Dilshad Garden, Delhi, Skating Tournament was organized by Bharat Sports Management group. Overall 20 schools & 300 students participated from Delhi & NCR. 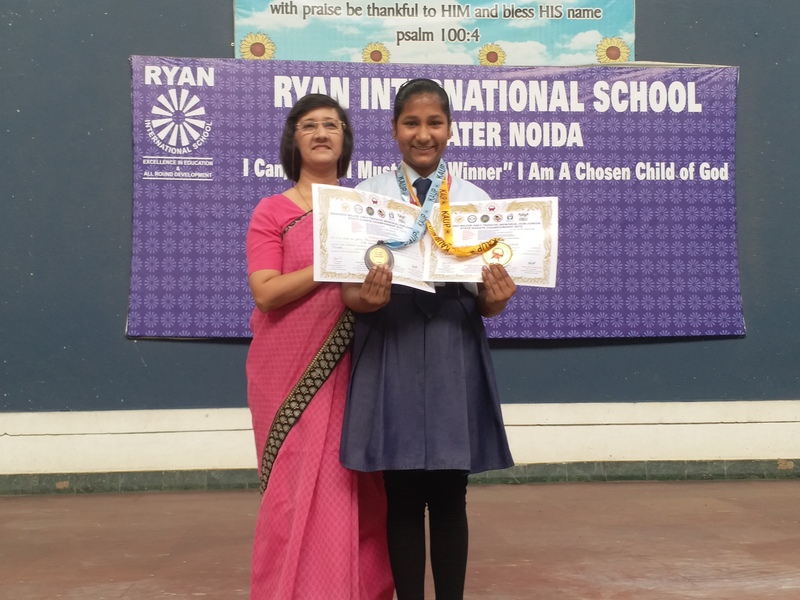 Ryan International School Greater Noida overall bagged 1 Gold, 05 Silver & 3 Bronze Medals. Tanusheree of class 8 clinched the gold medal. With half of annual budget unused, Noida Authority to pass next budget by month end!